Mr. Kevin (Chun-ming) Chen received LL.B. degree from Soochow University, Taipei, Taiwan, and LL.M. degree from National Taiwan University, Taipei, Taiwan. In the capacity of the lead counsel of the Soochow University's representative team in the Philip C. Jessup International Law Moot Court Competition 2003-04, Mr. Kevin Chen led the Soochow team to the championship in the Taiwan Regional Round, and his individual performance ranking topped 13% in the international rounds held in D.C., U.S. Mr. Kevin Chen later joined the National Taiwan University representative team in the ELSA WTO Moot Court Competition 2005-06, winning the Asia Regional Round and advancing to No. 5 in the international rounds in Geneva, Switzerland. 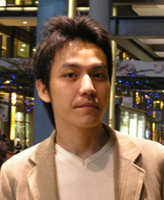 In addition, Mr. Kevin Chen acted in the capacity of academic adviser to the National Taiwan University representative team in the ELSA WTO Moot Court Competition 2007-08, co-coaching the team and helping the team to rank No. 2 in the international rounds in Geneva, Switzerland. 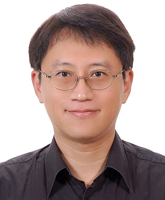 Mr. Kevin Chen is affiliated with the Asian Center for WTO and International Health Law and Policy (ACWH), Taipei, Taiwan, and has published his master thesis "Jurisdictional Conflicts between the WTO and Regional Trade Agreements: Towards a Coherence Approach" in Germany in 2010. Mr. Chen is now serving a corporate affairs position in a Swiss-based multinational in the FMCG sector. He may be contacted at kevinchen.law@gmail.com. From May 29 to June 1, 2011, the 2011 International Law Association ("ILA") Asia-Pacific Regional Conference was held in Taipei, co-organized by the ILA Headquarters, the Chinese (Taiwan) Society of International Law ("CSIL"), and the Research Center for International Legal Studies of the College of International Affairs at National Chengchi University. Approximately, 400 government officials, scholars and students from more than thirty countries participated in the conference, among them many members from ILA branches from East Asia, with distinguished guests from this region, Judge Jin-Hyun Paik and Shunji Yanai from the International Tribunal for the Law of the Sea ("ITLOS") and Justice Mariano C. del Castillo of the Supreme Court of the Philippines, among others. The theme of the conference was "Contemporary International Law Issues in the Asia Pacific: Opportunities and Challenges." Topics on the law of the sea, international economic law, private international law, international criminal law and human rights were among those addressed in the 16 panels. On October 7-8, 2011, the International Conference on Major Law and Policy Issues in the South China Sea was held in Taipei, co-organized by the Institute of European and American Studies and the Centre for Asia-Pacific Area Studies, Academia Sinica. Nearly 200 participants from governments and academic institutions attended the two-day event. The conference was marked by the high esteem held by the speakers and discussants, among them experts from research institutions from more than 10 countries, with scholars from China, Indonesia, Japan, Malaysia, Singapore, Taiwan and Vietnam in this region. A broad range of issues, such as national maritime claims, boundary delimitation, possible models for cooperation, navigation freedom and military activities, and regional dialogue process, were among the topics discussed. Of particular note is "cross-fires" over the nature of the Chinese claim, supposedly based on historic grounds, as well as the perceived roles of ASEAN countries, Japan and the United States. On September 23, 2011, Ministry of Foreign Affairs ("MOFA"), Taiwan announced that the "Agreement for the Avoidance of Double Taxation and the Prevention of Fiscal Evasion" between Taiwan and Slovakia was signed in Bratislava on August 10, 2011, and will enter into effect on September 24, 2011, which will be Taiwan's 22nd comprehensive double taxation agreement with other countries. What is noteworthy with this agreement is that, different from the usual model under which an agreement is to be concluded between the "Taipei Representative Office" in the country concerned and its counterpart in Taiwan, the Taiwan-Slovakia agreement was concluded between "the Ministry of Finance, the Republic of China", and "the Ministry of Finance, the Slovak Republic". A major investment protection agreement was signed on September 22, 2011 between Taiwan and Japan, each being among the other's most important trade and investment partners. The "Arrangement on the Liberalization, Promotion and Protection of Investment" concluded between "Association of East Asian Relations" on behalf of Taiwan and "Interchange Association for the Mutual Cooperation" on behalf of Japan, officials said, is a comprehensive agreement that does not only cover investment protection, but extends to provisions aiming at investment liberalization and trade promotion. It was reported that the agreement incorporated market opening lists for manufacturing and service sectors that exceeded those covered by commitments made under the WTO. After the conclusion of the said agreement, it was announced on October 25, 2011 that the officials of Taiwan and New Zealand are reviewing the feasibility of concluding an economic cooperation agreement, a move considered in Taiwan as another step toward opening the prospect of concluding more bilateral free trade agreements with its partners, possibly encouraged by the signing of the Economic Cooperation Framework Arrangement ("ECFA") between Taiwan and China. On the other hand, as of this writing there seem to be issues to be tackled in the negotiation between Taiwan and China over an investment protection arrangement and its conclusion was subject to delay.